You probably have tried several acne(pimples) treatments and recommendations from friends without success, sometimes it seems it just gets worse. May be you checking the mirror right now and wondering "will i ever be able to get rid of all these ugly spots on my face?" well all hope aint lost. Pimples are inflamations of the skin in which the sebaceous glands(oil glands) become infected with bacteria, swell up, and fill with pus. Excessive sebum secretion by the oil glands in the skin form the major causes of pimples. This article addresses simple, natural, and affordable remedies for your pimples. Egg whites provide a cheap, easy and quick way of removing pimples. They also eliminate scars. Egg white contains vitamins and amino acid that helps kill pimples and re-build your skin's cells. 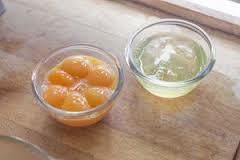 Separate 3 egg whites from their yolks, whisk them properly and allow them to settle for 3 minutes. Apply the whisked egg whites to the pimples using your fingers. Wait for it dry then repeat the process 4 more times then leave the final mask for 20 minutes, rinse off and apply a suitable skin moisturizer. The ascorbic acid and vitamin C in oranges make them a potenet cure for pimples. And they are very simple to use. 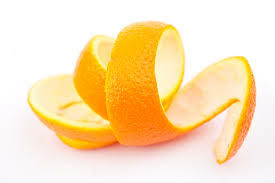 Simply rub the peels on the pimple and dab them with the orange juice. Before you do any of these, ensure you wash your hands thouroughly to prevent the transfer of bacteria to your skin. You may also want to wash your face with warm water to open the pores before application. Use different pieces of orange peels for each spots you want to treat using cotton wool(bud) to apply the orange juice. Leave the juice on your face for 1 hour before you wash your face. 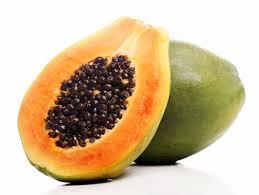 Pawpaw helps eliminate d*ad cells and excess fat from the skin surface. In its raw for, it also contains papain- a powerful enzyme that cuts down inflammation and stops the formation of pus. For this reason, pawpaw is commonly found in many commercial produced beauty products. To use pawpaw, cut up your fresh pawpaw, take out the seeds and mash the flesh till it is smooth enough to be applied to your face. Wash your face with warm water and then apply the pawpaw mash and leave for 30 minutes. then wash off with warm water. Tomatoes helps to eliminate excess oil from the face and keeps the skin healthy. 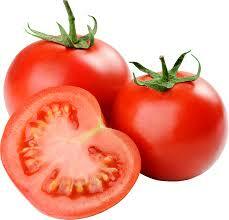 It has an antioxidant called lycopene that protects the skin and acts like an anti-aging product. Tomatoes also helps fight reddening of the skin and cellular damage. Tomato's antibacterial ingredient makes it good for removing black spots, shrinking skin pores and smoothening and whitening the skin . Apply a mask of fresh tomato juice on your face and then leave it on for at least 1 hour before you wash it off. Lemon juice is a very effective remedy for pimples because it is very rich in vitamin C (far richer than orange juice). It also possess citric acid which promotes the removal of d*ad cells from the skin. Additionally, lemon juice is an astringent, which causes body tissues to contract and dry out the pimples. It provides a natural way to whiten the skin. You can apply only lemon juice or combine with several other substances. For instance, you may combine it with rose water which acts as a soothing, skin repairing agent. You may also add salt to increase the drying power of the lemon juice when necessary( please use with caution). 2. Use few treatments at a time for at least a week to discover how effective they are on your skin. Do not use too many treatments at the same time. 3. Eat a well balanced diet and ensure that you take food that are rich in antioxidant such as vitamins C,E and selenium. 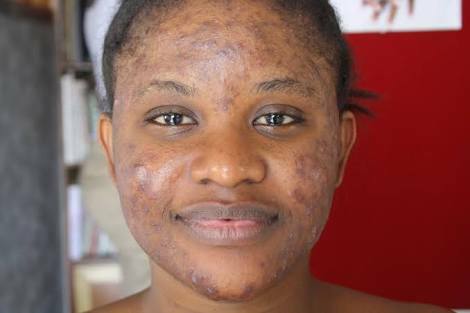 Never get discouraged if your pimples do not disappear as quick as you want them to. With every treatment listed above you would definitely see improvements in your skin condition.